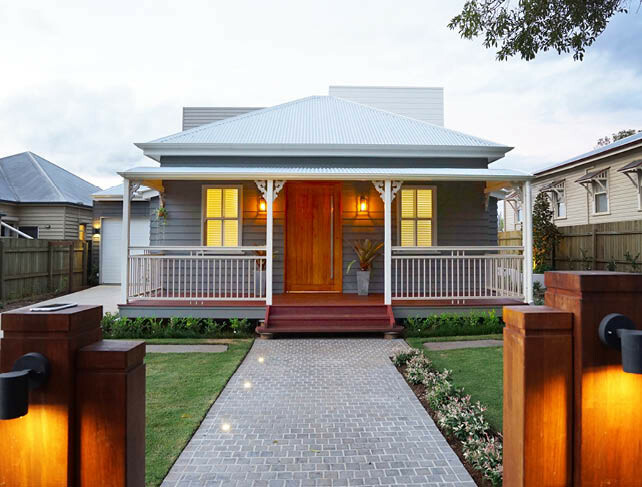 This heritage renovation goes far beyond a facelift. 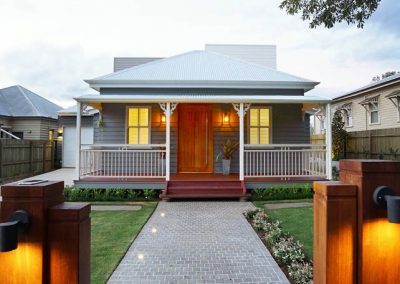 Local builder, Stuart Valdal from Valdal Projects has designed an extraordinary rebuild of a run-down heritage home to begin a new chapter in the urban design story of Toowoomba. 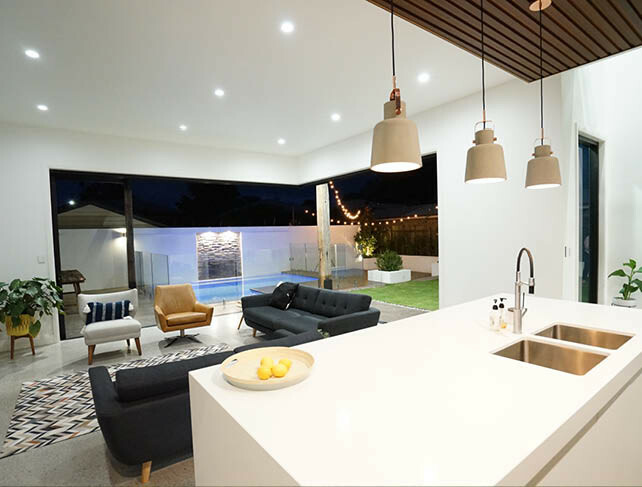 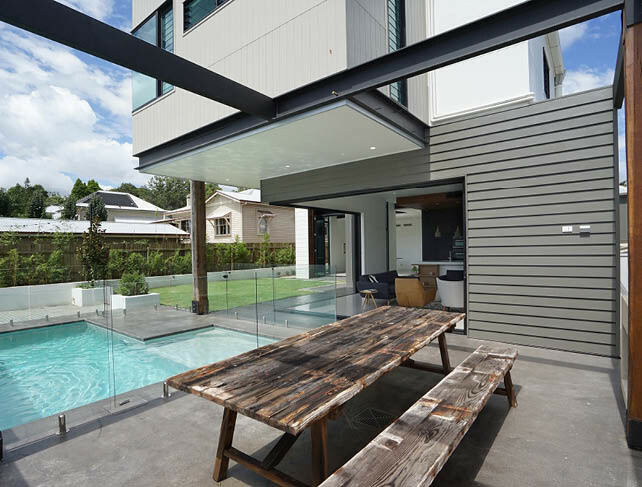 With a passion for excellent craftsmanship and innovation in construction, Stuart had been looking for the ideal Toowoomba property to transform into a flagship building, to demonstrate what his team can achieve. 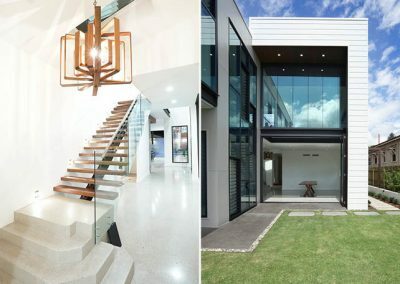 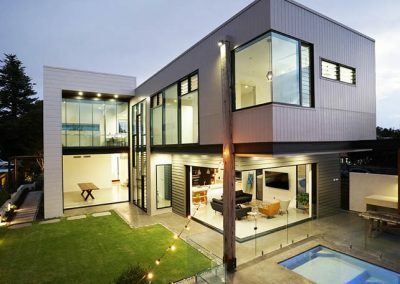 Working together with David Melloy of Building Design Professionals (BDP), Stuart has faithfully reconstructed the front façade of a classic heritage listed Arthur Street worker’s cottage, and reimagined the entire house as an elegant contemporary two-storey home. 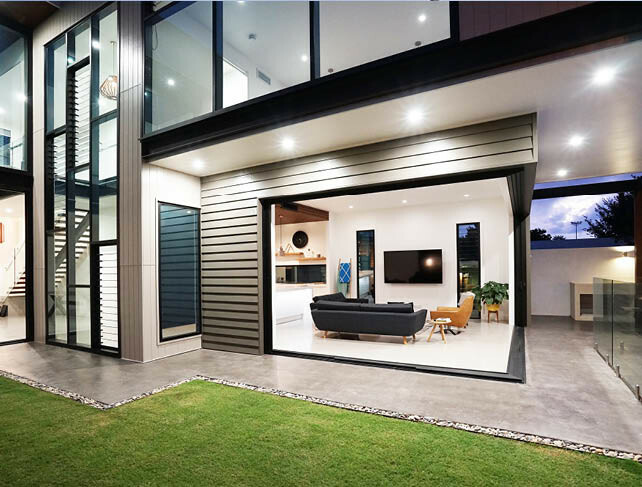 Breezway Altair Louvre Windows have been custom made to suit an intricate, eye-catching design on the side wall of the newly renovated home. 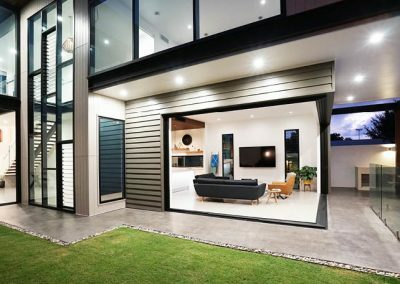 With modern, sophisticated lines, the Breezway Louvre helps bring style and elegance to the home whilst providing plenty of ventilation to natural cool the area. 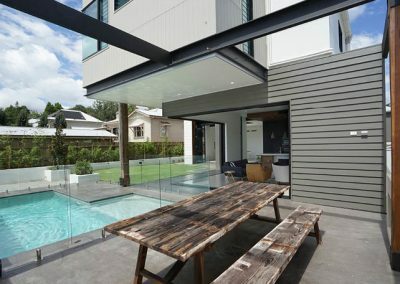 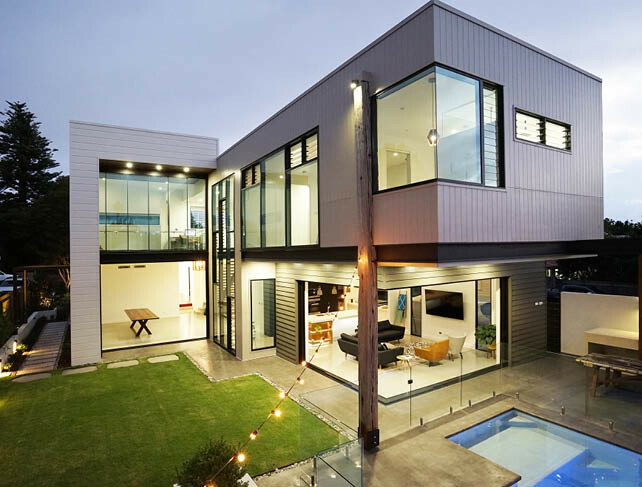 Short, wide louvres and tall, narrow louvres are also installed above and beside fixed glass panes to help maintain clear views to the outside while still allowing air to flow through the home when required.